We have set aside a whole day for you to come in and work on your embroidery projects. With the 10 to 8pm time frame it makes it worth your while. This is not a teaching class. If you need help, please sign up for Embroidery Boot Camp. 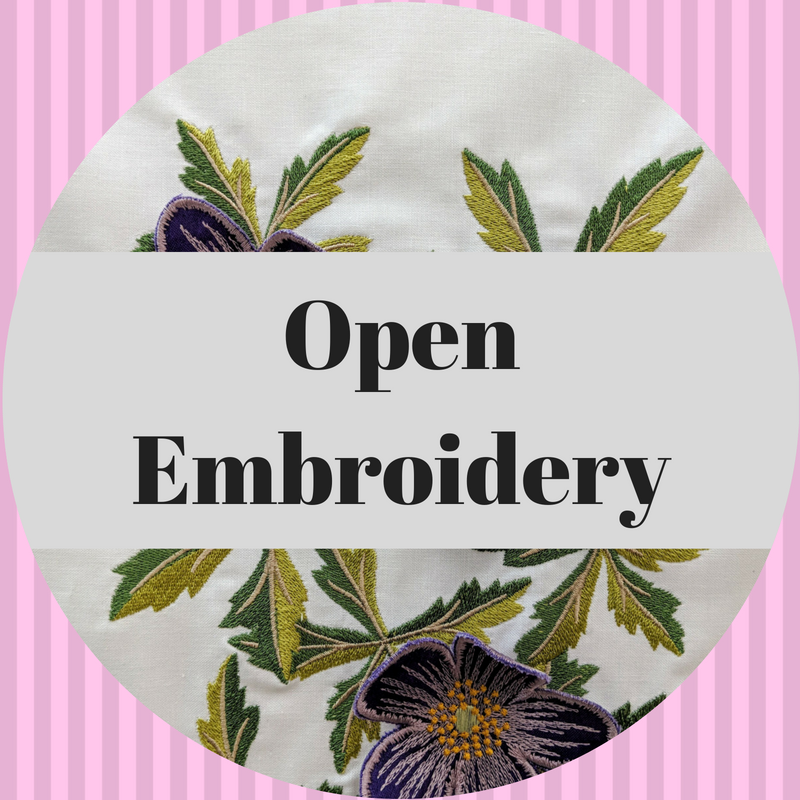 Come in and work on your embroidery projects, have fun, and make new friends. It’s a great time to share your ideas and collaborate together on current projects. So bring whatever supplies you need for your project and let’s have some fun. Due to the overwhelming response to our Open Embroidery day we are going to implement some changes that are sure to optimize your experience at Smith Owen. We are going to ask that you sign up to save your space in class. This will help to ensure there is room for everybody that comes to class. There will continue to be no fee for this service.